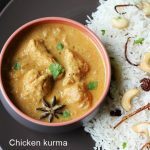 Chicken kurma recipe – A simple Indian chicken kurma recipe that pairs well with plain rice, biryani varieties, pulao, roti/chapathi. Kurma is a curry made using various ingredients like coconut, yogurt, nuts, poppy seeds, vegetables/meat and spices. This recipe is roughly adapted from the vegetable kurma recipe. 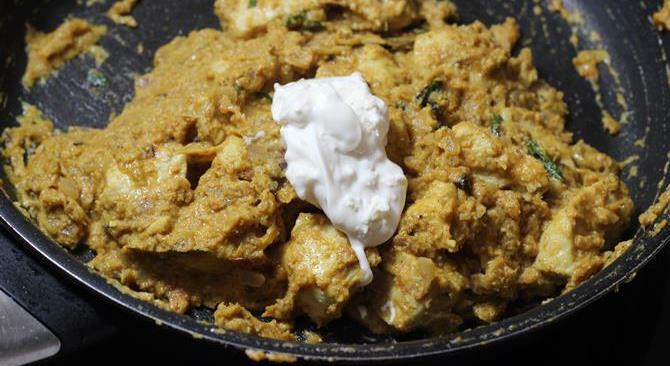 There are so many ways of making a kurma, this chicken kurma recipe is different from the mughlai or Shahi Chicken korma that is made using cream and yogurt. 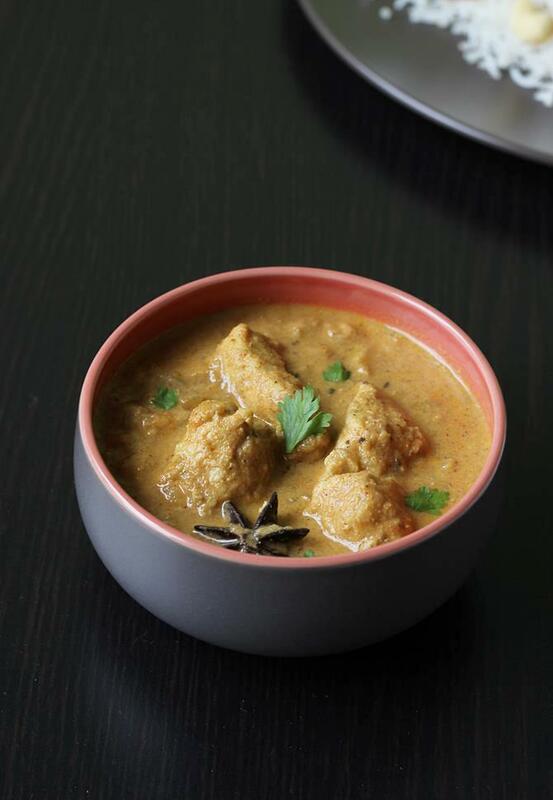 This is one of our favorite chicken kurma and is kids friendly too since it is not very hot and spicy like the typical south Indian curry. 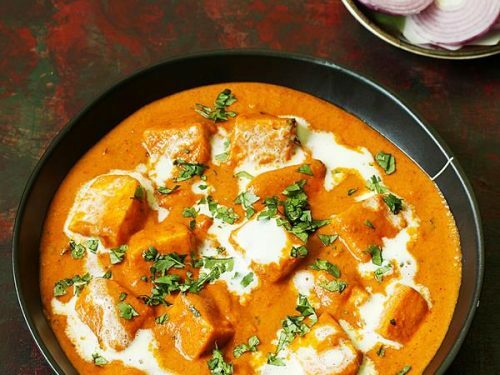 This tastes delicious with a thick gravy and subtle aroma of spices. 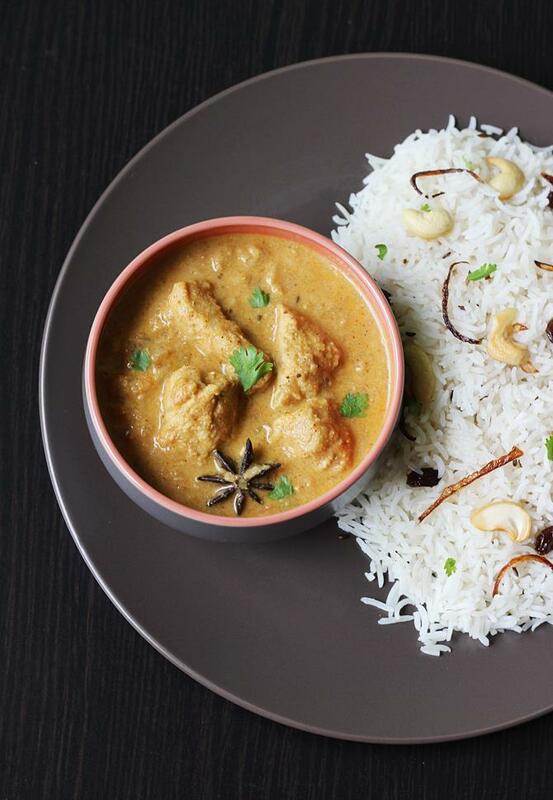 We served chicken kurma with simple ghee rice, it can also be served with pudina rice, veg biryani, cashew pulao or even with a chicken biryani or roti. 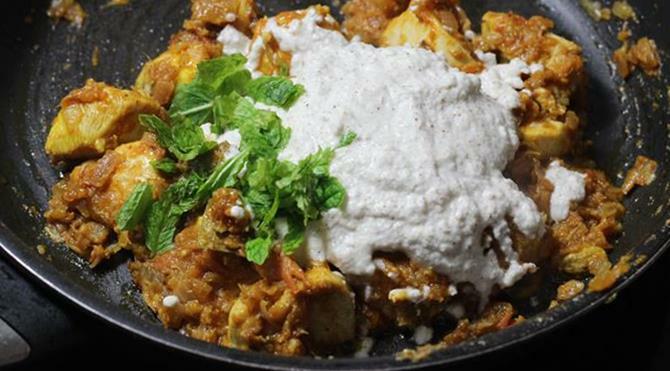 Also a mint raita or onion raita complements the meal. 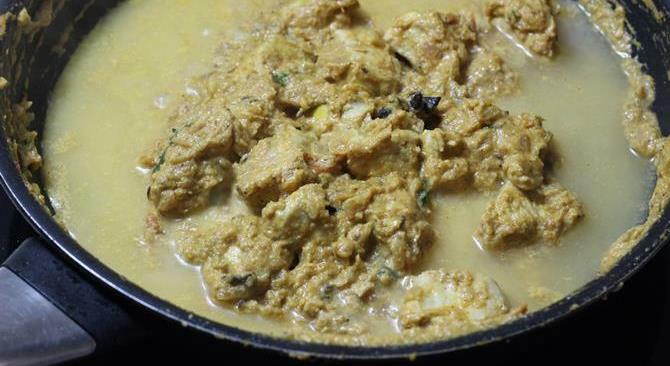 South Indian style chicken kurma with coconut. 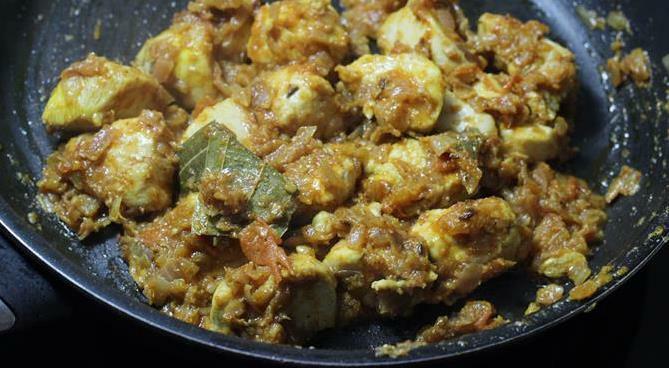 It tastes amazingly good with mild flavors of spices and coconut. 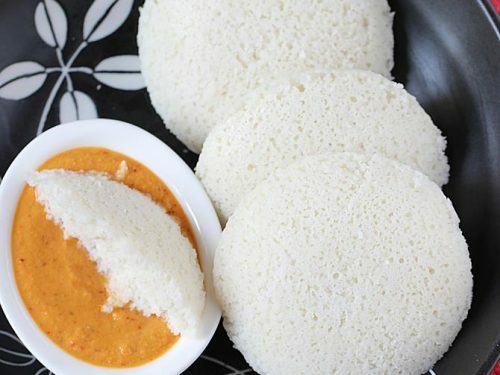 Best served with plain rice or roti. Powder poppy seeds first. 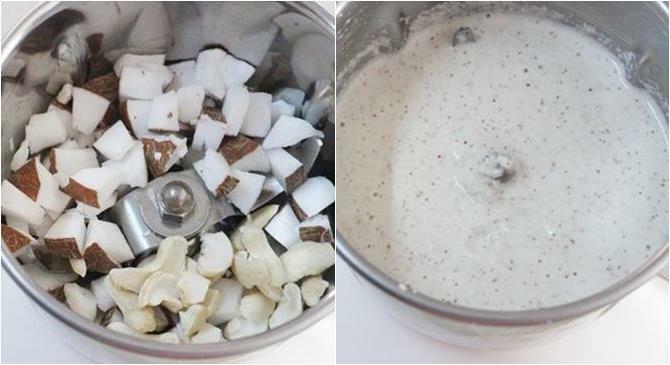 Add coconut and blend to a smooth paste with little water. Set this aside. Chop onions tomatoes finely. Mash the tomatoes with your hand. set aside. Wash the chicken thoroughly, Drain off completely. Keep it aside. 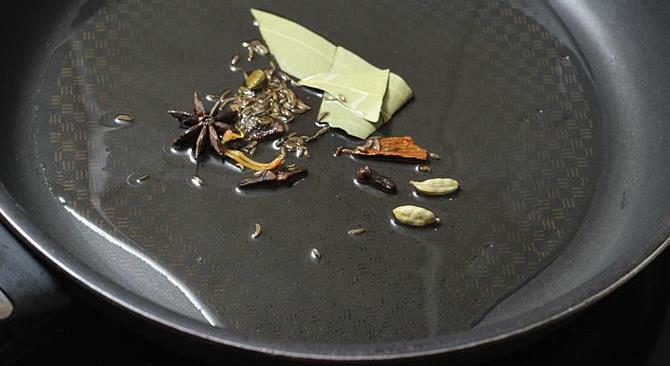 Fry dry spices in oil till they begin to sizzle. Add onions, chili and salt. Fry until golden. 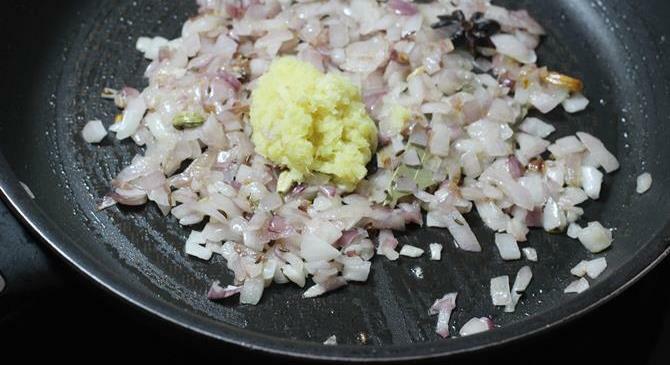 Fry ginger garlic paste with the onions till the raw smell disappears. 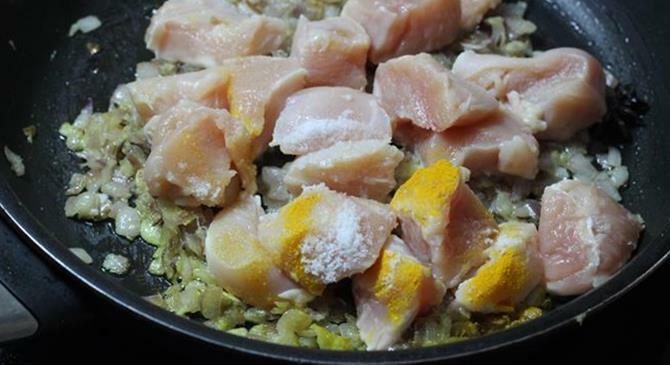 Add chicken, turmeric and little more salt. 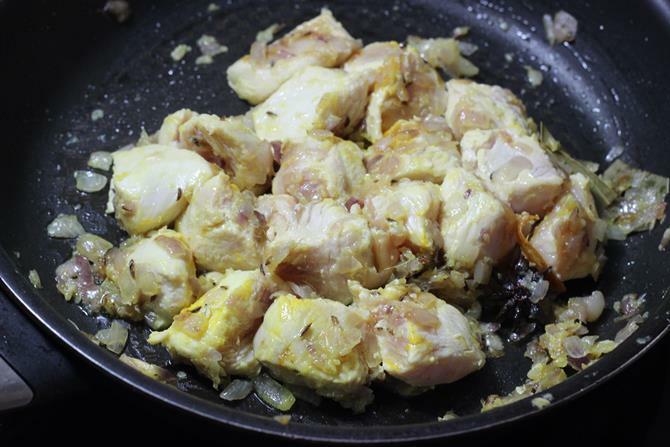 Fry till the chicken turns white in color. 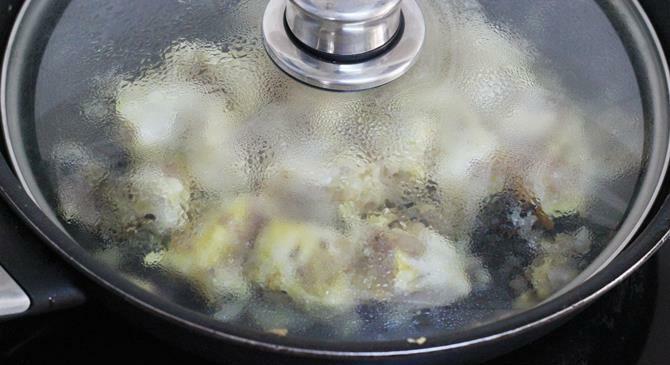 Cover and cook for 5 to 6 minutes. Stir in between if needed to prevent burning. Add mashed tomatoes. Fry till they turn soft. Cover and cook if needed. Time to add in chili powder, garam masala. Stir and fry for 3 minutes. Add curry leaves or mint and coconut paste. Stir and fry until the mixture begins to leave the sides. Stir in yogurt and fry until it leaves the sides again. Pour water just enough to make a medium consistency gravy. 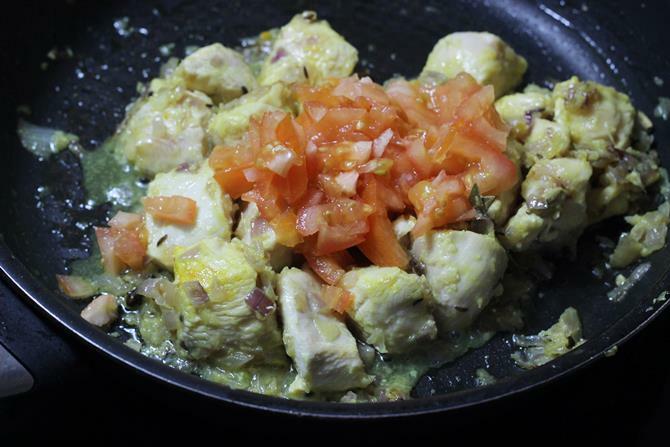 Cook covered till the chicken turns tender and soft. Towards the end add 1/4 tsp garam masala. Switch off the stove. 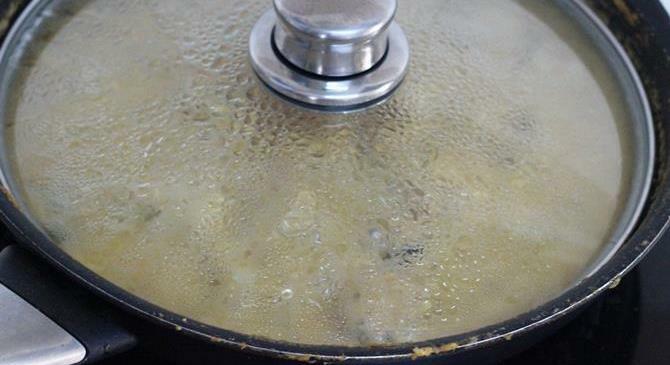 Transfer chicken kurma to a serving bowl. Best to serve after 30 minutes. 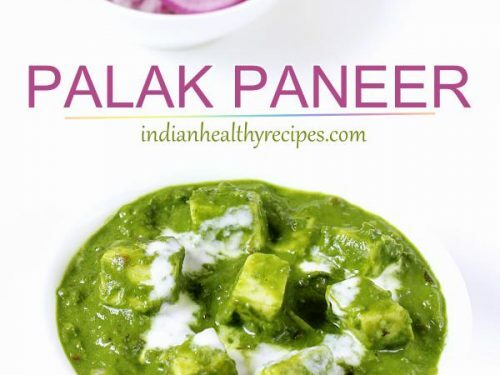 Garnish with coriander or mint leaves just before serving. 1. Half cup thick curd (yogurt) can be used instead of poppy seeds and coconut paste. 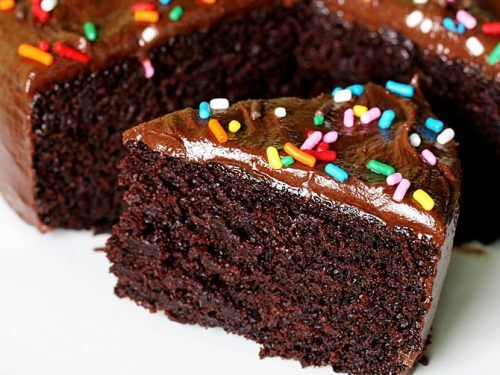 The taste does alter but it works good as a replacement to ground paste. 2. Store bought garam masala can be used. 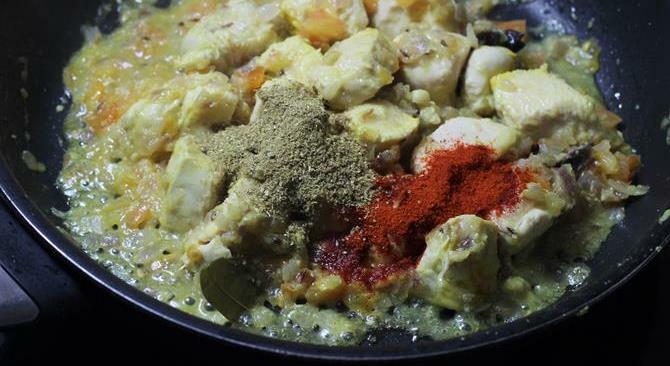 For a chicken kurma a mild garam masala works great. Adjust the quantity as needed. If your garam masala includes red chilies, skip using red chili powder from the recipe. 3. Folks have different thought of what a kurma is. 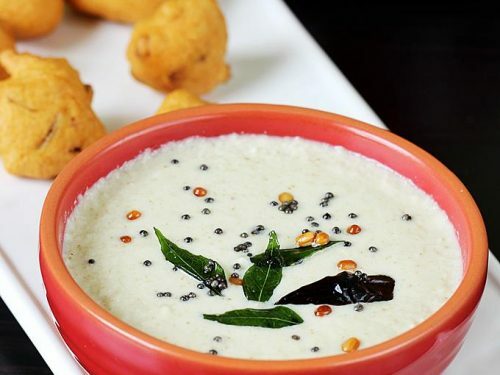 If you are a coconut person go with the ground paste and skip curd totally or use as mentioned. 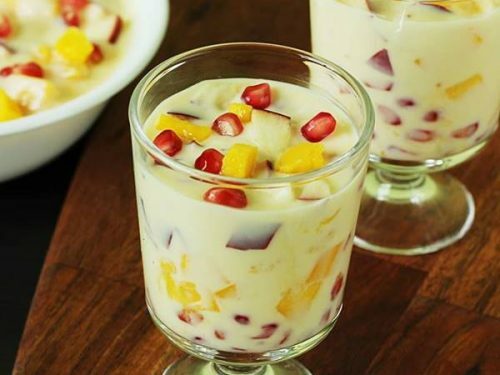 If you are someone to think that yogurt is a must in kurma, then you can skip coconut and just use yogurt. 1. Powder poppy seeds first to a fine powder. Add chopped or grated coconut and blend till smooth with little water. Since we don’t get poppy seeds in Singapore, i used cashews. But poppy seeds work the best. Make a smooth paste, If needed leave it for a while after partially ground and blend it again. Set this aside. 2. Pour oil to a hot pan, add dry spices and fry till they begin to sizzle. If your garam masala doesn’t have saunf in it, you can crush about 1/4 tsp of fennel seeds/ saunf and add it now. 3. 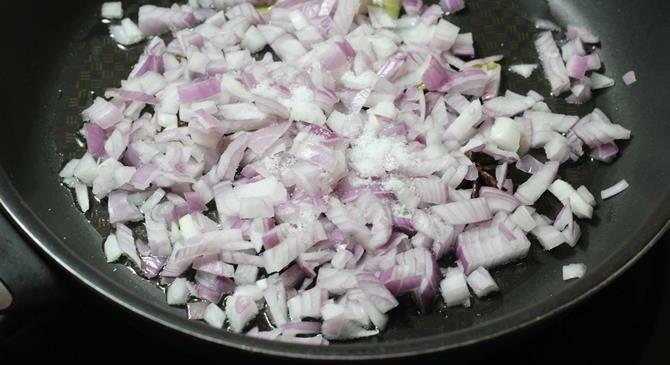 Add onions and green chilli. Sprinkle salt and fry till they turn golden. The raw smell must go away. I did not use chilli, but i suggest using it. 4. Add ginger garlic paste and fry until the raw smell goes away. 5. Lower the flame. Add chicken, little more salt and turmeric. 6. Fry 2 to 3 minutes or until the chicken turns white in color. 7. Cover and cook on a low flame for about 5 to 6 minutes. Stirring every three minutes. 8. Add chopped and mashed tomatoes. Fry until the tomatoes turn soft and mushy. Cover and cook if needed. 9. Add garam masala, red chili powder and mix well. 10. Fry for about two to three minutes. 11. Add the ground paste, mint or curry leaves. Fry til the mixture begins to leave the sides. 12. Add yogurt, Mix and stir well and cook till the mixture leaves the sides. 13. Pour water. Mix well. 14. Cover and cook on a low to medium flame till the chicken turns soft. I like to adjust the color of the gravy by adding little more chili powder if needed while it is cooking. Sprinkle little more garam masala powder to finish off. 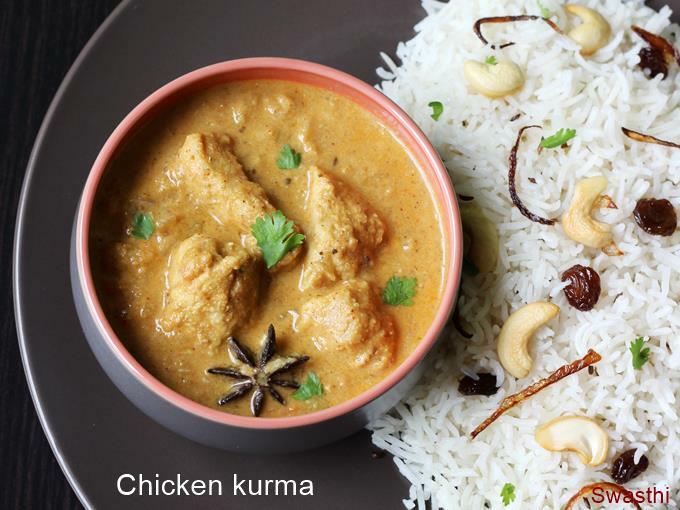 Serve chicken kurma with plain rice or any biryani varieties or chapathi. You are welcome. You can use 6 to 8 cashew nuts instead of poppy seeds.